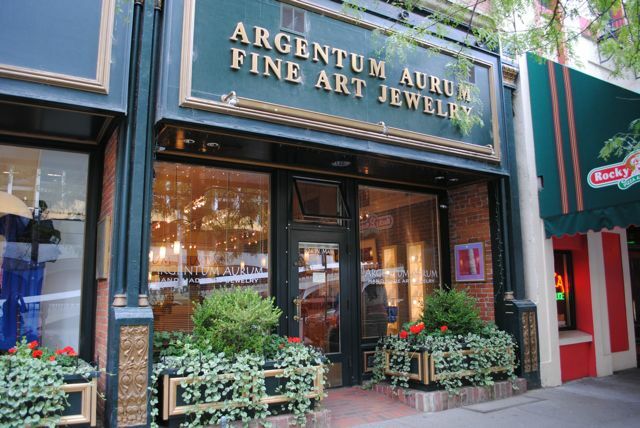 While visiting our daughter in Spokane, WA a few weeks ago, I discovered the most wonderful gallery - Argentum Aurum - specializing in fine handmade jewelry. It is conveniently located downtown at 524 West Main and displays the work of Debra Brehren, a master metal smith, who studied in Philadelphia but settled in Spokane. I would describe Debra's jewelry as both playful and exquisite. Now that requires a real artist to accomplish! She works in sterling silver and resin. 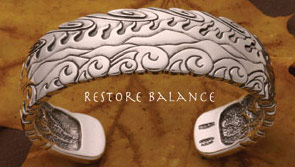 Her hand made carved sterling silver pieces are breathtaking. Here is a piece called Balance that she displays on her website. I purchased a pair of earrings that I truly love. They are the pink doves in the upper right portion of this photo. Can you see what I mean by playful? 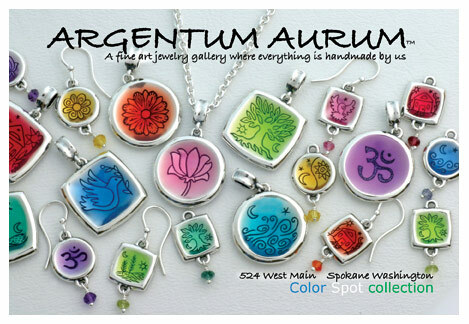 If you happen to be in Spokane, I am sure you can find a perfect gift there. And, they also will work with you on phone orders. Check out their website!